Have you ever reckoned what would your life look like had you started to cycle on regular basis? What about road and MTB cycling or even daily commuting? We can’t tell you how this would affect your spending or relationships, but we know exactly what would happen with your body after a couple of weeks, months, or even one year of riding. You’ll be surprised how much can be done just by pedalling in terms of your health. 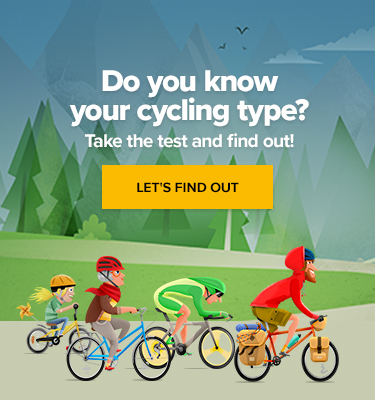 Or if you already cycle, there might be other people in your surroundings who you’d like to persuade to start doing this amazing sport with you. Let them know! The most important step is to hop on the bike and start. The ride itself is great. It’s fun to dash down the road or enjoy managing the bike on the forest trails. What you can’t see, is the beneficial process that already got underway deep in your body. You’d be amazed to see how fast things go. Within tens of minutes, metabolic rate increases and blood viscosity is improved. The oxygen flow rate increases from 8 litres when in rest to 100 litres per minute in your peak performance. Also, the blood flow to your brain increases, making you more awake. The hormones of happiness are released into your blood circulation, which makes you motivated to go on. It also blocks muscle pain and makes you instantly smarter. If you come to your office right after the ride, your decisions will be better and your working efficiency will be elevated. The increased blood flow allows the cells to take in more oxygen and nutrition from the blood which is a good start for losing weight. You become more confident, and your self-esteem grows, and also your blood pressure becomes normalised. Of course, you can bet on the pain that comes very soon and a day or two later, your body will feel rather stiff and sore. A chapter for itself is your buttocks. If you really don’t have to, don’t even try to sit again on the seat the other day. Every cyclist goes through this hell after any longer break. The body adapts to the new activity pretty quickly, though. After two or three days of rest, you’ll find you can ride easily again with much bigger appetite. Your brain starts to release more endorphins, which lift your mood. The satisfaction after the hard work is here – you feel happy and positive. After one or two weeks of cycling, the mitochondria in your body proliferate. They work as the energy centres of the cells, which helps you to produce energy more efficiently. The overall state of your cells will improve as the training makes them more resilient and helps them stay healthier longer. The secretion of enzymes responsible for the production of energy for muscle contraction is also boosted. And there are more benefits to come. Lung capacity will slowly increase and your heart and blood vessels will work better. Your immune system will become stronger: the level of lymphocytes in blood goes up. The body will be also able to regulate levels of sugar and other substances in blood more easily and your body will store less fat. Your body begins to digest proteins and carbohydrates 4 times faster, so you lose weight more quickly. After a couple of weeks, your strength and fitness will start to significantly improve. Now you can cycle in higher intensity and without any greater sore. Also in climbing, you aren’t the last one of the group and nobody has to wait for you on the top anymore. All of this can increase further well-being with all the endorphins streaming into your brain. Your daily life becomes a little easier. Instantly, you can climb the stairs with ease. The quality of your sleep is much better than ever before. You feel like there are no obstacles in your life and if so, you can skip over them like a kangaroo. Even longer rides will slowly be acceptable for you as your former personal limitations have been overcome weeks ago. 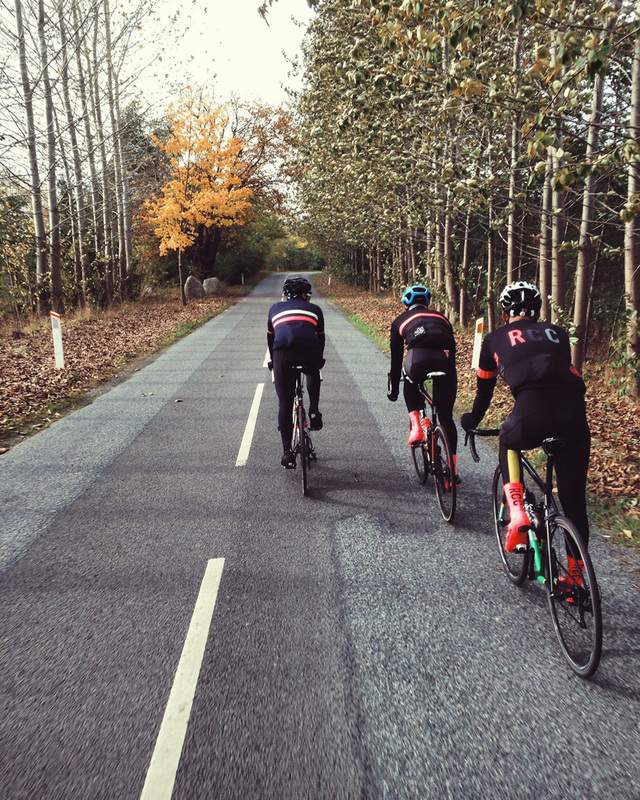 You will be able to catch up with most of your mates and you will really look forward to every ride, doesn’t matter how long. After a few months of regular cycling, your body will look different at the first sight. People around you will notice it and your friends will start asking you about what should they be doing to look so awesome and content, too. Now you can enjoy better endurance than ever before in your life. Additionally, your heart will literally increase in size, and because of the fast pumping during your recent training period, it will also become more efficient. Because of the same reason, your resting heart rate will decrease. It means that your heart will be able to pump and eject more blood with each contraction so it doesn’t need to work as frequently as before. This way, you will reduce the risk of a heart attack or other cardiovascular diseases. The oxygen transfer to your muscles will increase, and microcirculatory blood flow will improve. Better coordination of movements will help you strengthen your nervous system. The speed of nerve impulse transmissions will increase: the brain activity will refine, and you will be able to make your decisions more quickly. According to the findings of dozens of researches, you will become less prone to stress, and you’ll be less likely to experience depression and mood swings. Does it sound like something from the laboratory? Hell yeah, but all for your good. After twelve months on the bike, the quality of your bones will remarkably improve. Even people who are osteoporotic would return to normal bone health meaning they are less prone to the risk of fracture. Many systematic surveys indicate, that regular cycling is more effective than therapies in diminishing anxiety and even better than any kinds of prescribed pharmaceuticals for certain types of psychological diseases. Probably the best thing about everything is that after less than one year, cycling becomes a solid habit. When the weather is fine and you stay home, you would feel horrible. What everybody else regards as a crazy addiction is, in fact, a great habit that will improve your health, mood, self-esteem, and working results alike. Never give up and keep riding! 2017 Buyers Guide MTB Edition: Ready to Shred It?